For information about proper use of Oracle logos, logotypes, signatures, and design marks, please review the Third Party Usage Guidelines for Oracle Trademarks, Third Party Usage Guidelines for Oracle Logos. However certain MySQL logos may be used without specific written permission from Oracle under the following conditions. The use of any MySQL Conditional Use Logo under these terms must also comply with applicable provisions of the Third Party Usage Guidelines for Oracle Trademarks and Third Party Usage Guidelines for Oracle Logos. If you have any questions or special needs that are not covered by the above, please contact us to request special permission to use an Oracle mark. Oracle reserves the right to revoke this authorization at any time in its sole discretion. For example, if Oracle believes that your use of any MySQL Conditional Use Logo is detrimental to any of the Oracle trademarks or MySQL Conditional Use Logos or is otherwise unacceptable, Oracle will revoke this authorization. Upon revocation of this authorization by Oracle, you shall immediately cease using any and all MySQL Conditional Use Logo. If you do not immediately cease using all MySQL Conditional Use Logos upon revocation by Oracle, Oracle may take whatever action it deems necessary to protect its rights and interests. Although as a general rule you must never modify the design, add or delete any words, or change any colors when using a MySQL Conditional Use Logo, you may adjust the overall size of the logo, so long as adjustments are made proportionally. 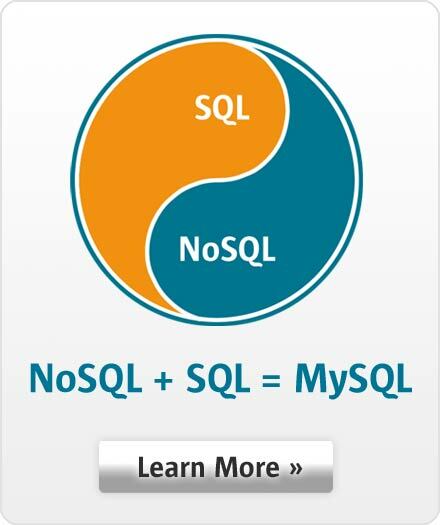 USE OF ANY MYSQL CONDITIONAL USE LOGO IS AT YOUR OWN RISK. THE USES PERMITTED UNDER THESE TERMS ARE PROVIDED BY ORACLE "AS IS," WITHOUT ANY WARRANTIES WHATSOEVER, INCLUDING (WITHOUT LIMITATION) ANY WARRANTY OF NON-INFRINGEMENT. YOU AGREE TO INDEMNIFY AND DEFEND ORACLE AND HOLD ORACLE, ITS SUCCESSORS AND ASSIGNS, HARMLESS OF AND FROM, ANY CLAIM, ACTION, SUIT, LOSS, COST, EXPENSE OR OTHER DAMAGES OR LIABILITY WHATSOEVER (INCLUDING, WITHOUT LIMITATION, REASONABLE ATTORNEYS' FEES AND COSTS OF INVESTIGATION) ARISING OUT OF OR RESULTING FROM YOUR USE OF ANY MYSQL CONDITIONAL USE LOGO IN VIOLATION OF THIS TRADEMARK POLICY. You agree that you will not acquire rights in any Oracle trademark through your use of any MySQL Conditional Use Logo. By using any MySQL Conditional Use Logo, you agree to the terms contained in these terms, the Oracle Third Party Usage Guidelines for Oracle Trademarks, and the Oracle Third Party Usage Guidelines for Oracle Logos. Oracle also has specific MySQL logos for use by partners and affiliates, and persons who meet the requirements for certification according to the MySQL certification program. These logos may only be obtained directly from Oracle and used by parties having a written and signed agreement with Oracle allowing them to do so and under the conditions in that agreement.